Winter is here and everyone awaits the most joyous season of the year! Christmas is around the corner and everyone is busy cleaning the house. 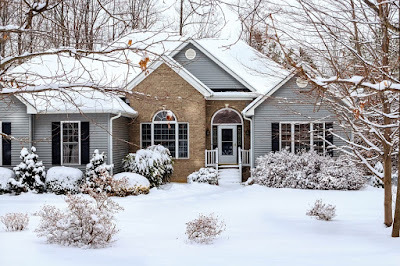 Winter is the best season for undertaking a home remodeling project too. Maybe you have been planning for a while a remodeling of your own home. Listed below are reasons why winter is the best season for you to commence such a project. A major advantage of winter remodeling is easier availability of the contractor. Your experienced design-build remodeling contractor will have more time to work with you, help refine your ideas and go about remodeling your home the way you would love. During spring and summer, contractors are less inclined to undertake new projects; they are under greater pressure of time with projects in hand already committed. As a welcome consequence of contractor availability, the remodeling project is very likely to be completed a lot faster than the normal course. Your contractor can spend more time at the project site and the work would be done to perfection. During spring and summer, there is a typical hike in the price of cabinetry, lumber and window lines. In contrast, during winter, the prices of goods in the market in general, and building and furnishing materials in particular, go down with attractive discounts. If you’re planning a remodeling of your interiors during winter you’re in luck, because manufacturers announce usually major clearance sales of many interior products. You may also get approvals and permits for remodeling a lot faster in winter than in warmer seasons; the agencies that sanction these projects are under less pressure of work. Major cleanups are a seasonal routine in most homes during winter. In such a case, your house is going to be a mess anyway. If you schedule your design-build remodeling during winter, that will automatically take care of major winter cleaning as well. You can thus save a lot of time, as it will be a two-in-one project. Your contractor will take care of the cleanup after completing the remodeling project, and you have nothing to worry about. Most homeowners would rather stay in their homes during summer and enjoy the good climate. During winter, they prefer to take a vacation to warmer countries or visit their relatives. It will be ideal to undertake your home remodeling project while you are away on vacation. Your contractor will be happy to begin such a project when all your family will be away with you. The house will be safe and secure in your trusted contractor’s hands. While you enjoy your vacation care free, the remodeling work will go on with no disruptions. With all the above-mentioned benefits, it would be best to start your remodeling project during winter! Call your contractor now and do not wait until it’s the busiest time of the year!